Over there, in the wall just poking it's head out of the stones. After a puzzled squint and moving to see the wall from the same spot as C I finally managed to see the little creature, which was about a tenth of the size I was expecting! Honestly, I assumed this would be cat-sized and it completely took me by surprise how minute this little guy turned out to be. Thankfully I had my camera close by and snapped away though the window (it was the best I could do, your honour) a few came out ok. Yes, the lights reflected off the windows but when else will I get the chance to photograph such a cutie? After much debate and reflection we decided this is probably a stoat as we can just about make out a black tail tip. 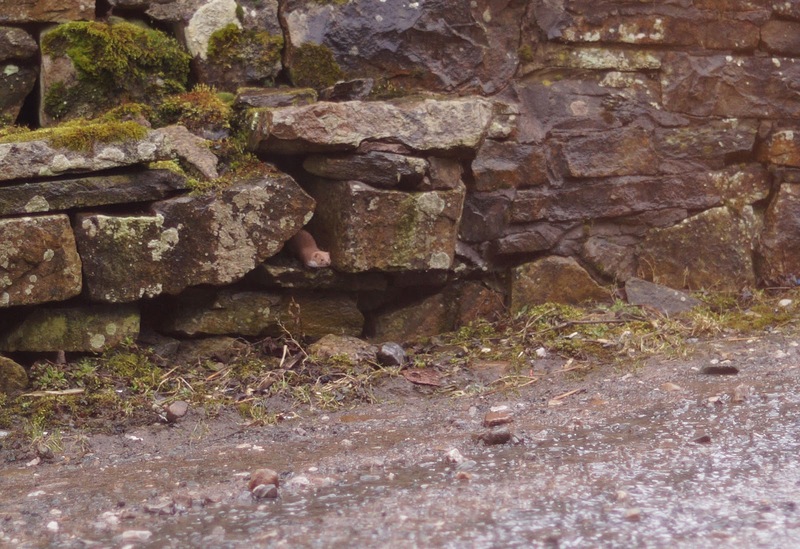 I've seen this type of creature scurry across the road in a flash but never up close. Fascinating. And you? These are great photos, Sophie! 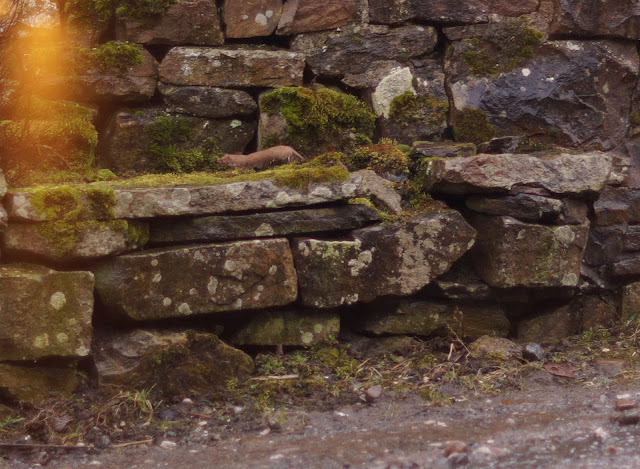 I'm not sure what the difference is between stoats and weasels tbh, I don't think I've ever seen either of them up close. Nice to get photos Sophie well done. Awww, how lucky to capture an image of it! So cute and a real bonny colour. 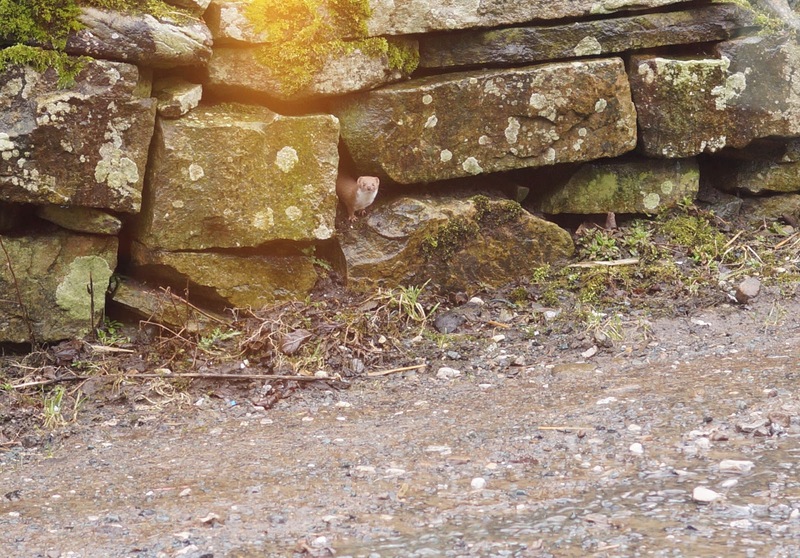 I always get muddled over which creature is an ermine in the winter? 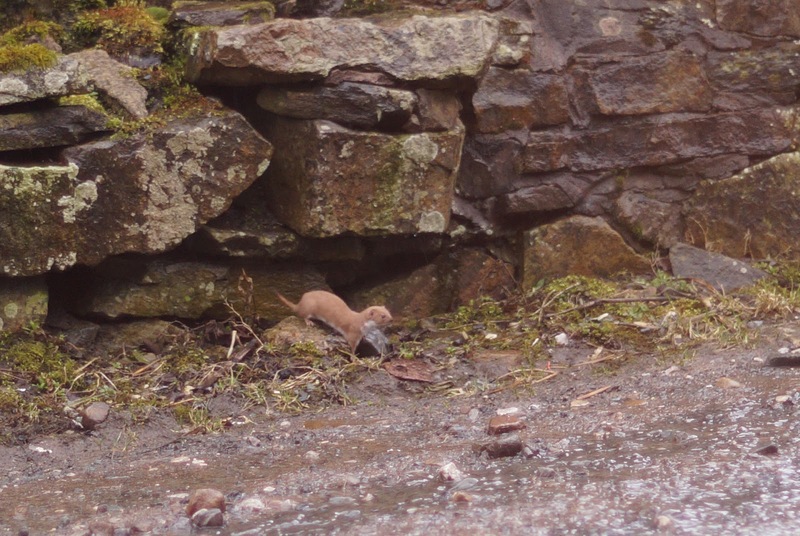 Stoat or weasel or something else entirely? I think we've had one in lounge, Socks brought it in and then beat a hasty retreat. I'm sure I've told you the story. It was terrifying, made the worst smell I've ever encountered and had to be caught with a colander whilst wearing oven mitts!